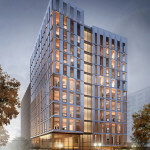 First Mass Timber High-Rise Building in the United States Cleared for Construction Following Building Permit Approval. 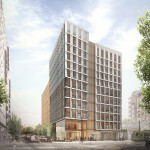 First Mass Timber High-Rise Building in the United States Cleared for Construction Following Building Permit Approval. 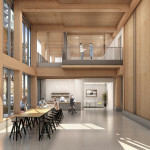 Faster Permits is excited to report their successful management of the building permit process for Project^ and Lever Architecture’s “Framework” project in Portland Oregon. 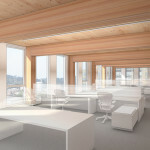 Framework is the first Mass Timber High-Rise Building in the United States cleared for construction by obtaining building permit approval from the State of Oregon and the City of Portland this week. 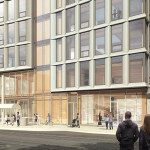 Mike Coyle of Faster Permits spearheaded the permitting team’s efforts to successfully maneuver the plan review process for the more than 20 different bureau approvals required. 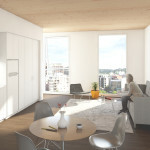 This is the first time anyone in the country has ever achieved regulatory approval to build a wood high-rise structure.